Fruitless Pursuits: America's Got Talent Finals: The Last Chance! David Garibaldi up first! Awesome. And scary because he's my favorite. He made an mazing Einstein portrait in 90 seconds that Howard said he would hang in his home. It took him 90 seconds! I just wish there was more dance in the performance, but the judges talked about it taking too long last week. I prefer the drawn out reveal of previous weeks. Tom rolled a die for his comedy topic for the night. You would think that improv was a real gamble for his final performance, but it doesn't even phase him. In a way, he's taunting the other acts to step it up since he can do 1 of 8 different performances on any given night. His material is the best… just edgy enough and it builds and builds on top of itself. A group of 15 or so young kids (some as young as 8! ), dancing up a storm. They are so disciplined and you don't notice how young they are until the performance is over and they are standing there getting critiqued. This week wasn't as good as last week, and the costumes weren't memorable. They made their fast paced dance style a big blur. He made the judges from the show out of sand. He said it was a tribute to the show that's changed his life… but I feel like it was a last ditch effort for votes. I've been onto him ever since he bashed his opponent a few weeks ago when it was the judges choice of who to keep. I think there is a darker side to the peaceful sand artist. Anyway, tonight's performance was pretty good, but lacked the emotion he's known for. Well, it wasn't as good as my version of Canon in D, but it was pretty amazing. I didn't mash it up with America the beautiful though. This was very soft (amazingly soft for such a massive instrument), and it felt safer than normal for me. I wasn't as into it as his other performances because of that. I want the harder hitting craziness, but this showed depth that I don't think we've seen before. Olate Dogs The impressive dog act started out big, with a dog riding a kids big wheel truck. Then it ended with the insanely well-trained dogs landing right in front of Sharon, the mega-dog-lover. It's amazing, and will probably be first, second or third place. I hope it's not first. And that's it! Tomorrow night is the final results show. WHO WILL WIN!? What a wonderful night on Americas Got Talent. I was impressed by how all the acts stepped up their game. I thought William Close had this won, but after watching Olate Dogs and Tom Cotter last night I’m not so sure anymore. I think it’s going to be one of the three but who will it be? I’m going to have my face stuck to the TV as I wait for the AGT judges to announce the winner. 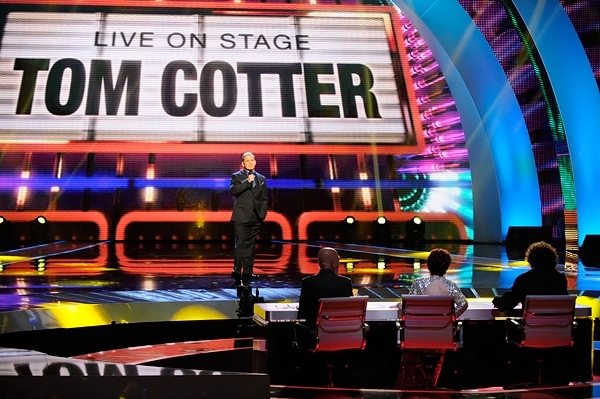 AGT’s one of my favorite primetime shows I always watch. This seasons shows have been great being able to watch them commercial free using my Auto Hop feature. I can use the Auto Hop feature to skip commercials which enhances my TV experience. This feature is only compatible with PrimeTime Anytime recordings the day after they air. One of my coworkers at Dish showed me this feature and it’s something I use every time I view my primetime shows. Another good thing is I won’t kill the batteries in my remote as fast. .
Olate Dogs are the winner! Kind of bummed, but not surprised. They are really good at what they do. Tom Cotter should have won though. They even gave him his own huge spot among the guest stars in the show. Plus his comment at the end of the show was the best. Hope to see him go far.